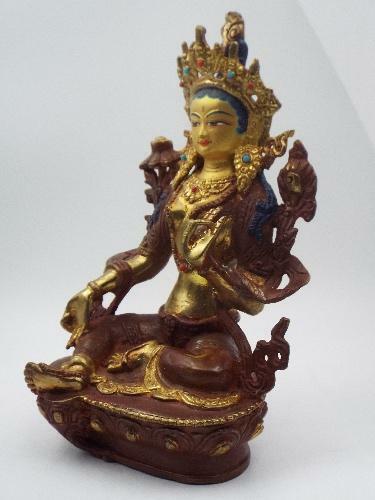 Goddess Tara, a female Buddha and meditational deity. 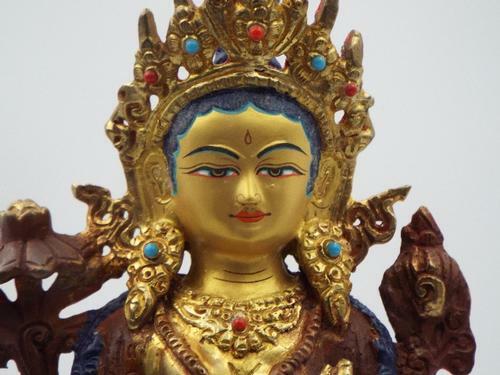 She is considered to be the goddess of universal compassion who represents virtuous and enlightened activity. The Green Tara powerful and important figure of Buddhist history. 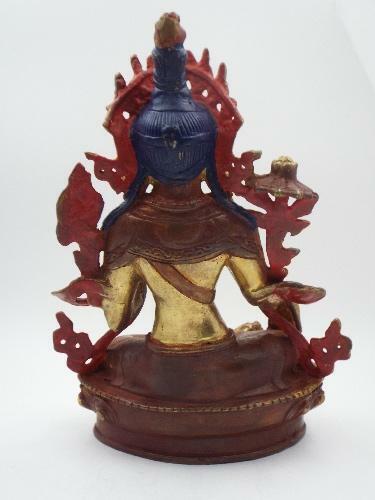 She is known as the deity associated with insight wisdom and protection. 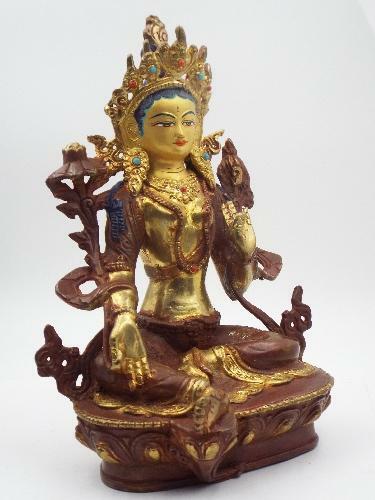 A very beautiful and rare statue of this Tibetan Deity. Origin: Tibet, Material: Brass and Bronze alloy. Face is painted with 22K gold powder. Measurements: 9 x 7 x 3 inches. Weight: 4 pounds. Origin Tibetan stamp on the bottom plate guarantee of origin and provenance from Tibet.